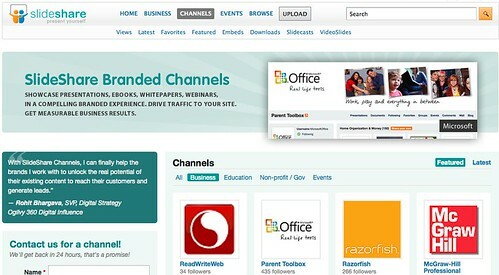 As an advisor to SlideShare, I've been proud to watch it grow into the world's largest professional sharing community. Traffic grew 400% last year to 25 million unique monthly visitors, the majority of which are business decision makers. And guess what, its mostly people (and increasingly companies) pitching each other. So over the past couple of months the team has rolled out a line of business products to make it more efficient. Marketers should consider running an integrated campaign with SlideShare. Sponsor or Host a Channel, use AdShare to drive people to it and LeadShare to capture leads.